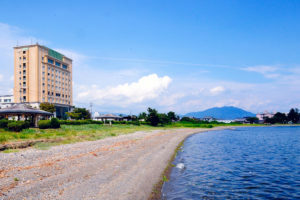 Kaizu-Osaki is a shore reef in the northern area that just out onto Lake Biwa. In the spring, ride down a tunnel that stretches for 4 kilometers, abloom with around 600 Someiyoshino (Prunus yedoensis) cherry trees for an unforgettable light and color show. Lake Biwa, the largest freshwater lake in Japan, can be found in Central-West Honshu, the main island of Japan. 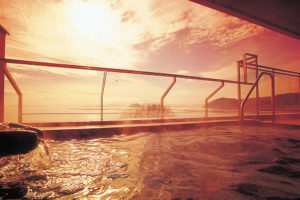 Covering one sixth the area of Shiga prefecture, the lake is the third most ancient lake in the world with more than 5 million years of history. It is home to a rich repository of aquatic life, including many endemic species, and plays an important role in conserving the freshwater resource of the Kyoto‐Osaka‐Kobe area. 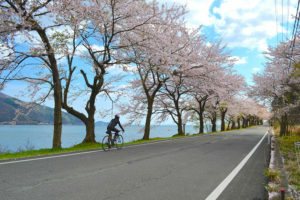 The “Biwa Ichi” cycling route around the lake is receiving acclaim around the country, and our recommendations are based on the official route provided by the Shiga prefectural office. Biwako Ohashi Bridge draws a beautiful curve dividing the Northern and Southern Lakes. It also marks the start and finish points of “Biwa Ichi”. 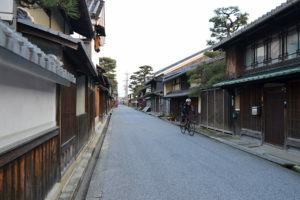 If you drift a little from the shore of Lake Biwa to Oumi-hachiman, you will find the aged houses of Ohmi Shonin merchants and the Hachiman Bori canal. 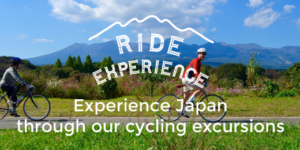 Diverge from the Biwa Ichi route in Okubiwako to climb to the Makino Kogen area. 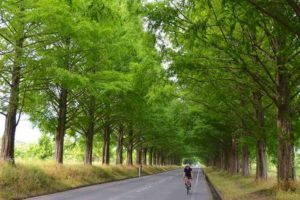 You’ll see a beautiful road lined with hundreds of Metasequoia trees. Shirahige Shrine, noted for its large vermilion lacquered Torii (Shinto shrine gateway), lies in the middle of the lake and marks the 123km point of the route. 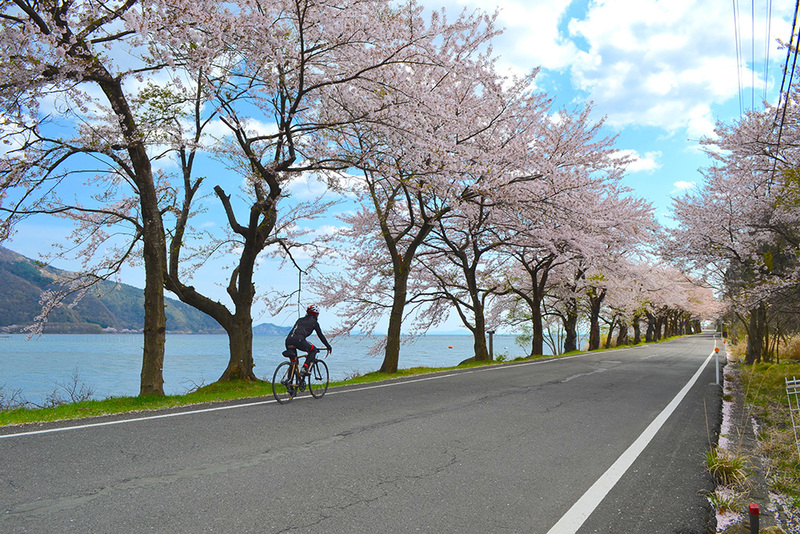 For a rest stop, bike 5 minutes northward along the Koshu (Around Lake) street located west of the Biwako Ohashi Bridge and lay back at this friendly sports bike specialty shop. Take a look at their gear and chat with other enthusiasts over coffee or soft serve ice cream. 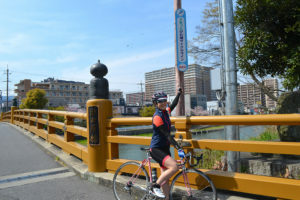 Another famous cyclist stop is the traditional Japanese confectionery “Sajotowson”, located near the gate of Ishiyama Temple. The shop madame is a roadie herself and loves to talk with passing cyclists. There is also a gratis ice water service station for the cyclists.